KANSAS CITY, MO (CelebrityAccess) — After months of debate over two possible plans for the future of the Kemper Arena, Kansas City is now faced with the prospect of no plans at all. 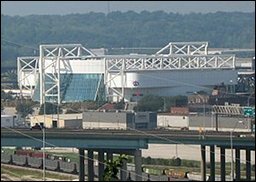 According to the Kansas City Star, The American Royal Association announced that it was pulling back from their proposed plan to raze Kemper Arena and replace it with a new $50 million events center in its place. The letter cited the negative public and media reaction to their plan. The news of American Royal's withdrawal from the process follows last month's announcement that real estate developer Foutch Brothers had abandoned their plans to convert the Kemper into a youth sports facility after American Royal threatened a lawsuit over their involvement.